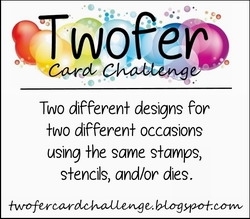 I was lucky enough to have my Twofer entry for December to win, and then landed a Guest Design spot for this challenge, thanks to Darnell and her team at Twofer Card Challenge. your supplies and your creativity. Simon Says Stamp for my two cards. but ended up with two traditional star cards. birthday card with a zodiac constellation. I'm looking forward to seeing what everyone creates. Congrats on your guest designer spot! I really like that die and how you cut it up to create the constelllation! Very clever! Hi Cat! I love that you chose this fabulous die for your 'Stars'...it's so versatile and fun! 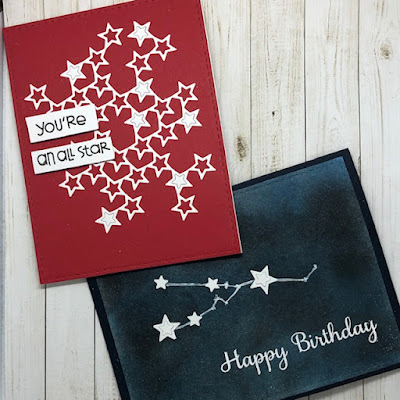 Great idea to make it the 'star of the show' on your encouragement card and I love the Zodiac constellation on your 2nd card...such a great way to personalize a birthday card! two great cards, Cat - congrats on the GD spot - well deserved! Two great cards! I really love the constellation card with that sky. Congrats on being a guest designer. Well deserved in my book! Wow, that's very clever what you did with your stars! I'm not sure how unconventional one can get with stars, but I'd say you came up with a brilliant idea and I'd never guess the two cards were created with the same die. Congratulations on your guest spot! These are both spectacular cards, Cat! I love that SSS star die and how it can span across a card, but I love it even more the way you tilted it on an angle! Your constellation is so clever and beautiful in the night sky! 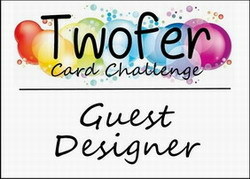 Thanks so much for guest designing for the Twofer Card Challenge! Both are fantastic! Really like these colors! Congrats on your guest designer spot. Woohoo! It's always nice to be showcased, so others can see your work. Loving the stars! Congrats on being the GD, Cat! 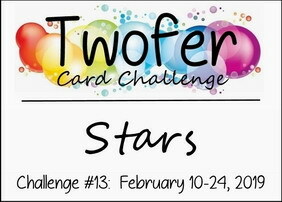 Both cards are fun ways to use the star dies! I just posted my cards to the Twofer and find I used the same die! I had only seen the Stars prompt on Darnell's blog. Your cards are so pretty, especially the zodiac card. That is so clever. Congratulations on being a guest designer. Wow, what a fabulous Twofer! Love this clean and effective style of both of your cards! congrats on your GD spot. your cards are relly super and wonderfully designed. Love your encouragement card - and what a great idea to make a Zodiac constellation using these stars! You did a real great Twoffer, Cat! !